Ramsay is renowned name in tinsel town for his horror films and action thrillers, where Keshu Ramsay produced about five Akshay Kumar films in the 'Khiladi' series. Now, Aryeman Ramsay has chosen the action-thriller genre for his next movie. 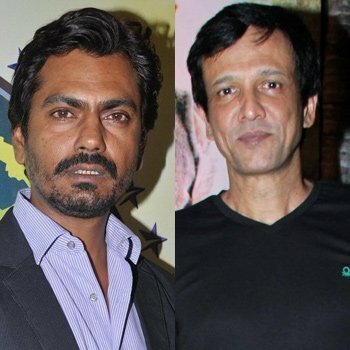 Nawazuddin Siddiqui and Kay Kay Menon as the leads and the story deals with two men who become millionaires overnight through the gambling. Sources inform us that the story is based on the real-life incident happened in US. The makers are in search for the leading lady for the movie. "Part of the story is drawn from a real-life incident that took place in the US where two men gambled, got rich and proved that they did it legally to escape the law," informed the sources. With both Nawazuddin Siddiqui and Kay Kay Menon busy with their prior commitments for now, the shooting schedules of Aryeman Ramsay directorial will begin from December in Mumbai.